If you’re a curvy girl in this skinny world, just know that you’re a lucky one. You’ve been blessed with assets which most girls out there wish for. We all belong to the non-believer generation where whatever the rule book says is irrelevant to our ‘get real’ selves. There are some silly myths which every curvy girl was made to believe in. But today, we’re busting 5 popular myths that need to be ignored right away. Myth 1: Horizontal stripes will make you look bigger. 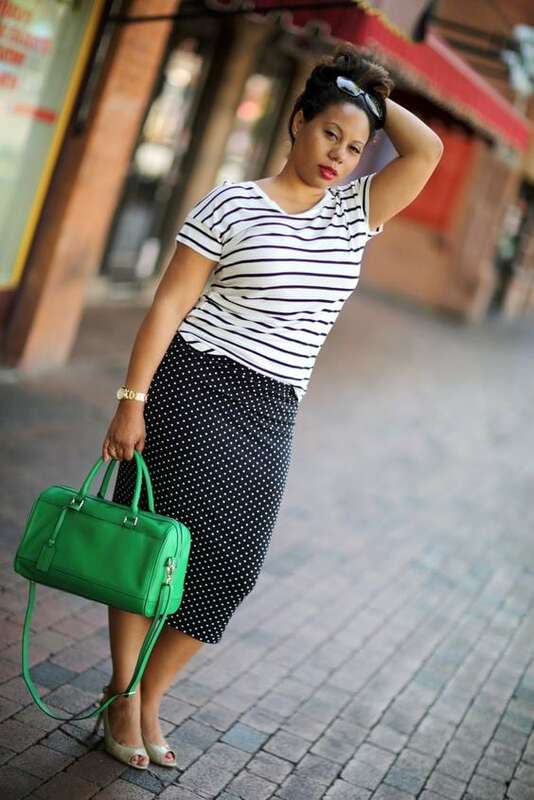 Truth: Horizontal stripes styled the right way will not only highlight your curves, but also make you look uber chic. Just break the pattern with a blazer or printed skirt, and you’re ready to rock. Myth 2: Knits are not for you. Truth: Try thicker fabrics or metallics which work as body skimming silhouettes. No matter how much you were told to pick something which is two sizes bigger, never ever do that. Wearing certain oversized clothes will make you look bulkier. When wearing knits the wise thing to do is layering. Truth: In this colourful world, why restrict yourself to only dark hues? Sure, black is your favourite but that doesn’t mean you can’t introduce some bright colours to your wardrobe. Next time you have a party to attend, ditch that black dress and try a red or a hot pink one instead. Truth: We are sure you were told to avoid anything which gathers around the waist or anything which is above the knee coz it will simply add volume. Wrong. In fact, a pencil skirt with a peplum waist will create an hourglass shape. Likewise, a skater dress will accentuate you body line. Myth 5: Printed skirts and pants are a big NO! Truth: All you need to do is style them wisely. 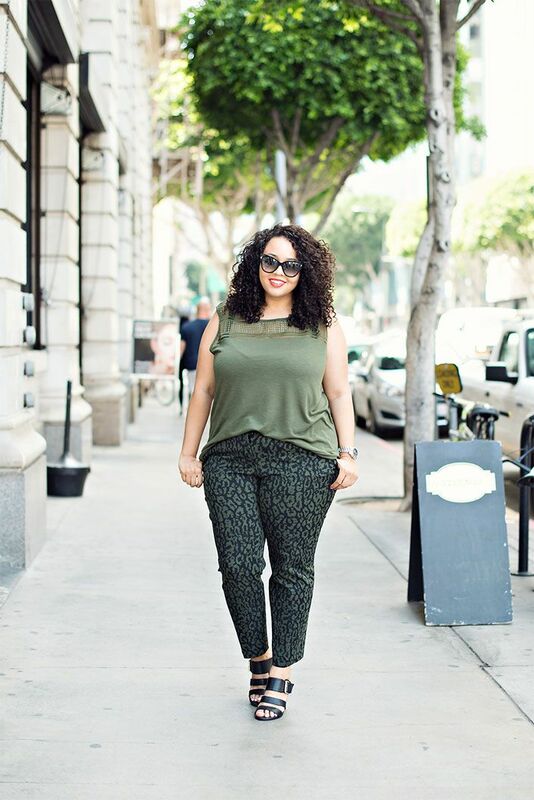 Wear printed pants and skirts with a solid top or blazer and high heels, which will add pop not pounds.